Michael R. Kawa, 78 , died peacefully on April 9, 2019 at his home in Houtzdale. He was born on January 23, 1941 in Beccaria, the first son of Michael T. Kawa and Eva (Munjack) Kawa. He served as a Spec. 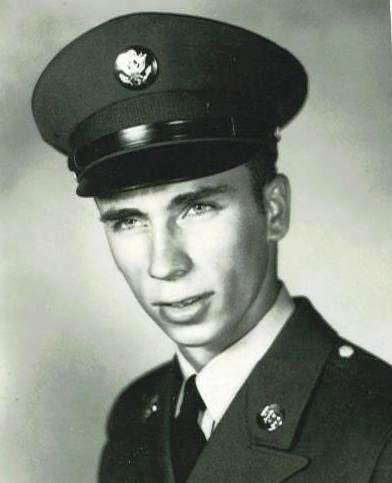 4 in the United States Army from 1960 to 1963. During his time of service he was an auto mechanic instructor at West Point Academy every summer. After his service he was employed at Piper Aircraft, then as a miner for Associated Drilling and later Rushton Mining Co. He was a hard-worker and always provided for his family. Michael was a collector of many things and enjoyed showing his 1970 Road Runner at car shows. He enjoyed watching TV, old movies and documentaries, was well versed on current events and loved his yorkies. He retired in 2001 from Moshannon Valley School District where he was employed as a custodian. On February 27, 1965 he married the former Kay Carol Dunlap, who survives at their home in Houtzdale. Along with his wife he is survived by sons; Michael Kawa Jr., Ralph Kawa, Troy Kawa and his daughter Kimberly (Craig) Ludwig, all of Houtzdale. Also surviving are five grandchildren; Mikala Kawa, Cassandra Kawa, Cole Kawa, Kalyn (Kristopher) Essick, Peyton Ludwig and his brothers, Thomas (Connie) Kawa and William (Sheilah) Kawa, and numerous nieces and nephews. He was preceded in death by his parents and father-in-law and mother-in-law Ralph and Grace Dunlap. Mass of Christian Burial will be celebrated Saturday April 13, 2019 at 11:00 a.m. at St. Barbara's PNCC, Houtzdale with Father Scott Lill as celebrant. Interment will follow in St. Barbara's Church Cemetery. Visitation will be held Friday from 6:00 p.m. to 9:00 p.m. at the Birger A Freeberg Funeral Home Inc., Houtzdale. In lieu of flowers the family requests memorial donations be made to St. Barbara's PNCC, 76 Emery Ave., Houtzdale, Pa 16651.